Interesting article on news 24 today. Yes, the world is inundated with mobile phones, flat screen TVs, and air conditioners. But growth in demand for electricity is slowing. The reason: efficiency. The biggest solar revolution will take place on rooftops. High electricity prices and cheap residential battery storage will make small-scale rooftop solar ever more attractive, driving a 17-fold increase in installations. By 2040, rooftop solar will be cheaper than electricity from the grid in every major economy, and almost 13% of electricity worldwide will be generated from small-scale solar systems. Points 1 and 2 - if solar is becoming so cheap, I wonder if investment in Solar producing companies is a good idea, it will be difficult for them to remain profitable if they are in a price war for the next 25 years? Not so sure that we will see a price war in the short to medium term with solar equipment. I think the demand is going to increase exponentially and that supply is going to remain a healthy proposition, especially the established / more well known brands. Even the poorer consumers will not be able to afford not to supplement their power needs with solar and they will look at price rather than quality, so even the low end supply will benefit. Just M2CW. P.S. Maybe in 10 to 15 yrs we might see a situation where juice from the power utilities become the back-up systems in most homes (I'm already ½ way there). By all means, spend R 100 000+ to try and get off the grid .... and they tie you into a system where you save R174 per month !!! I see a system whereby people will keep a section on the grid to keep the municipality off their backs, and go off grid for a vast portion of their energy use. Look at our current situation, and WHEN our loadshedding takes place - when the sun has set !! As good as solar plants are, these are NOT the answer for macro scale. Okay, let me re-phrase - pv plants should be a PART off the total package of generation. BUT, a truly functional system MUST have sufficient reliable 24/7 generation capacity. For example - let's say we decommission 1 000MW worth of coal plants, and switch on 2 000 MW worth of PV plants .... we would have MORE load shedding at night !!!!!!!!!!!!! There is still the option of pump storage for nights, but this would surely have to be a massive and therefore costly option that makes it less viable than coal or nuclear in the shorter term. 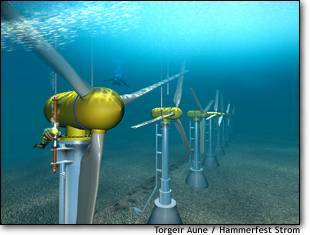 Coastal wind farms or tidal harnessing could help to alleviate fuel dependence. The Ocean, the wave motion to produce electricity would be a constant day or night. How could you do it and what would THAT cost? They already do it in more developed parts of the world. Unlike wind and the sun, the tides nether go to sleep. You can turn a turbine with the tide coming in, and again with the tide going out. Only on the turn of the tide will be a halting period.